The Saint-Mont vineyard dates from 1050 when the Benedictines founded the Saint-Mont monastery. Pilgrims heading along the Saint Jacques de Compostelle route spread the reputation of this territory’s wines. Later on, in the 16th and 17th centuries, the wines were exported and the Adour River became one of the main navigational routes for inland and maritime trade. In Bayonne and Vieux Boucau, Saint Mont wines were loaded onto boats leaving for the UK and the Netherlands. 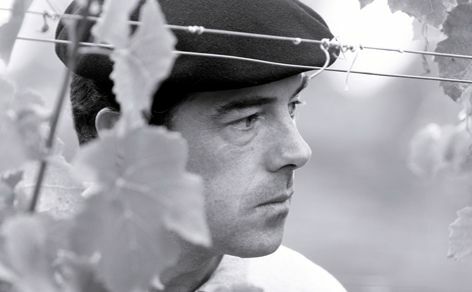 As the wine region expanded the growers got organized and in 1957 set up a syndicate to protect the Côtes de Saint Mont wines. This was the first step towards official recognition of the distinctive characteristics of their region. To progress things further and obtain the quality certification label, they embarked upon an ambitious programme decreasing the area of production, selecting the best plots of land, replanting indigenous grape varieties and optimising wine-growing methods. In 2011, all their hard work was rewarded when the 1,200 hectares were granted AOC status. The Saint Mont appellation includes the initial slopes of the Pyrenean Foothills, equidistant from the Pyrenees to the South and the Atlantic Ocean to the West. The parcels are planted on slopes either side of the Adour and its tributary, the Arros. They are spread out over slopes in the middle of an agricultural region where on the plains cereal growing and livestock farming play a significant role. The Pyrenean mountain range and the Atlantic Ocean lend their specific richness to the vineyards of Saint-Mont. The generally mild temperatures are consistent throughout the geographical area. Rainfall however varies considerably from East to West. At harvest time between the end of summer and the beginning of autumn, the weather is rather warm and often dry, particularly when affected by the southern foehn wind, often present during this period. This means that the grapes can be harvested in their prime, especially the Tannat and Manseng varieties. 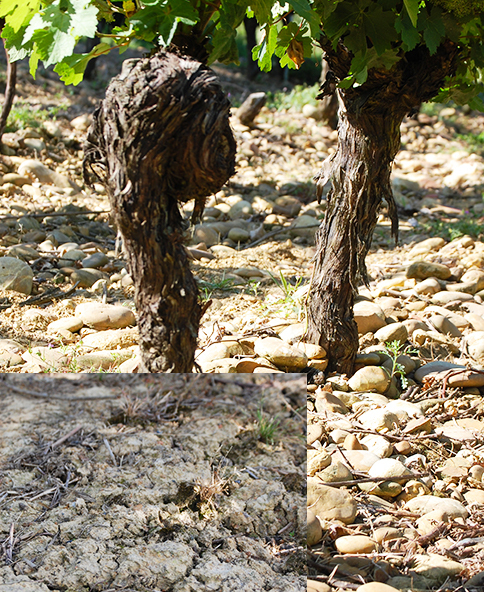 Both the climate and the nature of the soil make for the uniqueness and the terroir of an appellation. 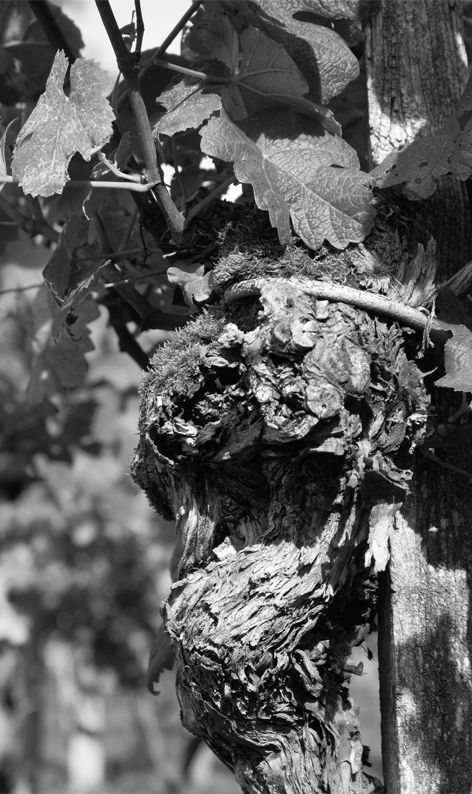 At Saint-Mont, there are 3 typical complementary terroir expressions. The soil content, which originates from the era when the Pyrenees were formed, is complex and so the wine-makers of Saint-Mont have studied it for a long time to produce the best quality grapes on each soil type. (Orientation of the vineyard, soil content, rainfall, harvesting, etc.). The Aignan area is mainly made up of Fawn Sands, a Tertiary marine formation whose southern border coincides with the limit of the geographical area. In the Plaisance du Gers region, the Fawn Sands disappear and are replaced by the Molas formation whose distinctive limestone banks can be clearly seen in the landscape. The soils developed on this substrate are clay-limestone soils. 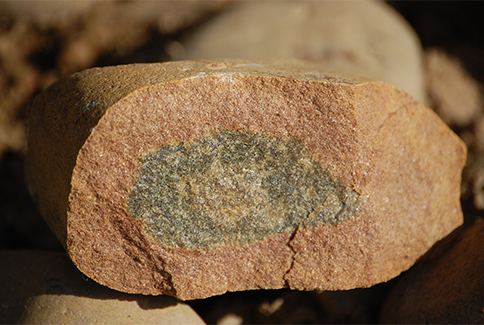 Finally, the Saint-Mont area is characterised by compact multicoloured clay, sometimes combined with grapestone. The Pyrenean Foothills are the birthplace of many grape varieties now used in worldwide wine production. 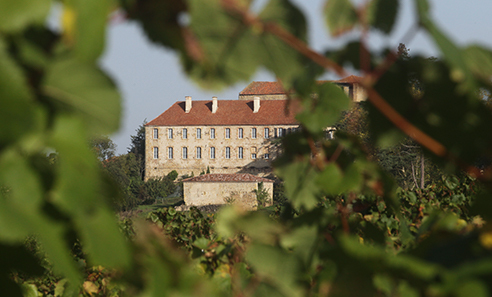 The Saint-Mont Monastery, located on the Saint Jacques de Compostelle route, has played a key role in preserving and diversifying grape varieties. In fact, it was here that monks exchanged their secret knowledge of grape varieties and wine production. It is for this reason that today France’s most significant conservation centre for privately owned grape varieties is located on this appellation. The Ampelographic* Conservatoire even lists as yet unnamed grape varieties. The conservation work carried out by the men and women of the appellation helps maintain rich biodiversity and high typicality. According to the most renowned ampelographers, many varieties cultivated throughout the world today owe their origin to this region of the Pyrenean Foothills. So, in 1980, the wine producers decided to use only ancestral indigenous varieties, all originating from this area of the Pyrenean Foothills. * Ampelography is the field of botany concerned with the identification and classification of grapevines. Vous devez avoir au moins 18 ans pour visiter ce site.